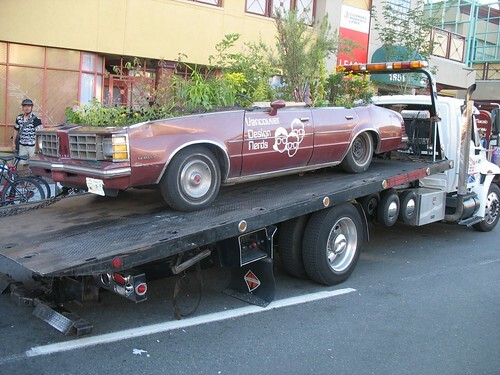 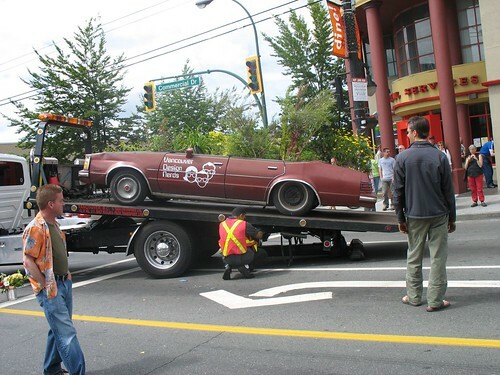 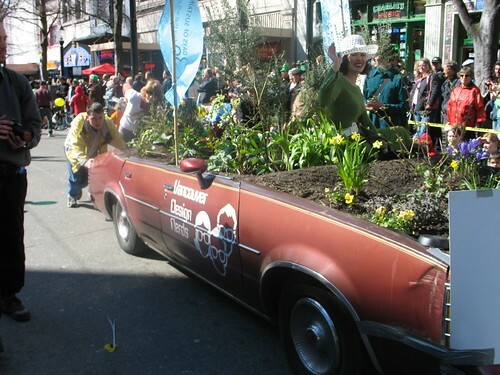 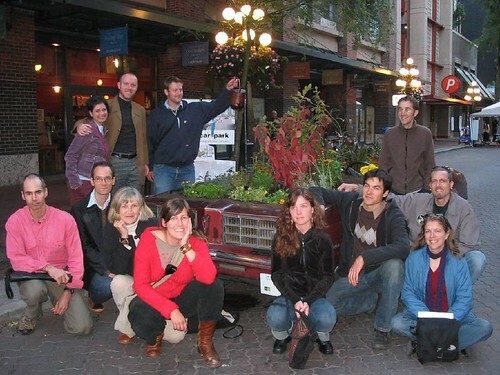 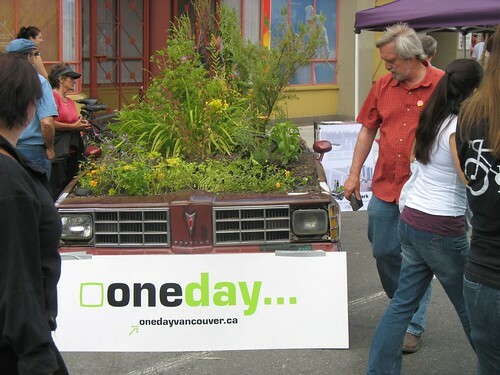 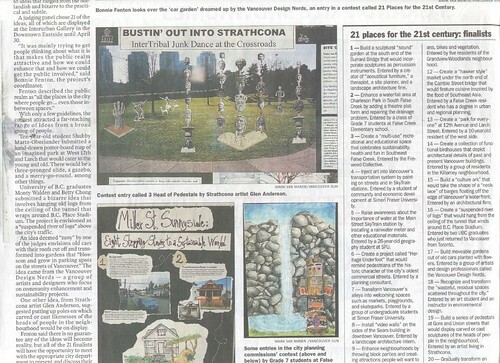 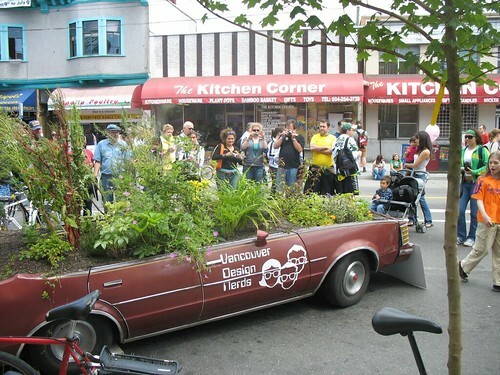 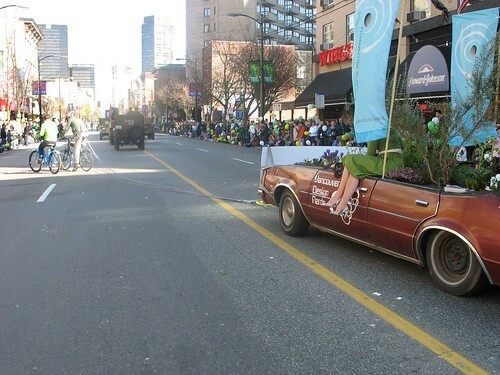 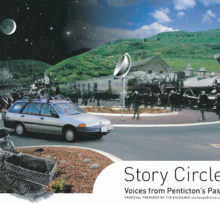 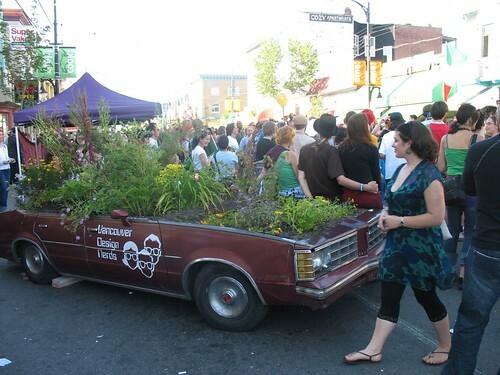 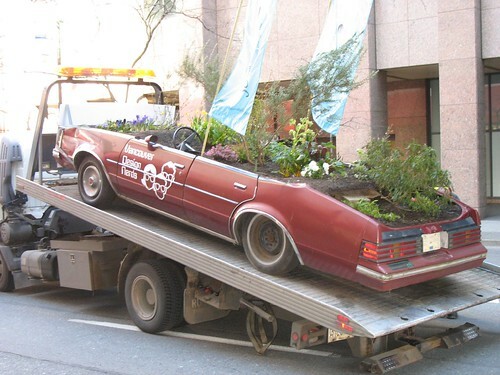 The Car Park consists of a car transformed into a garden; seats, trunks and engine become a place for flowers, herbs and vegetables to blossom and grow; transforming parking spaces into miniature gardens in urban areas throughout British Columbia. 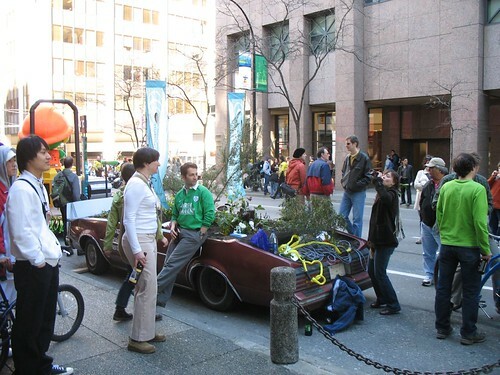 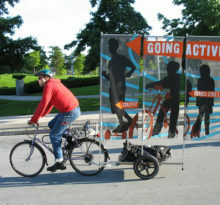 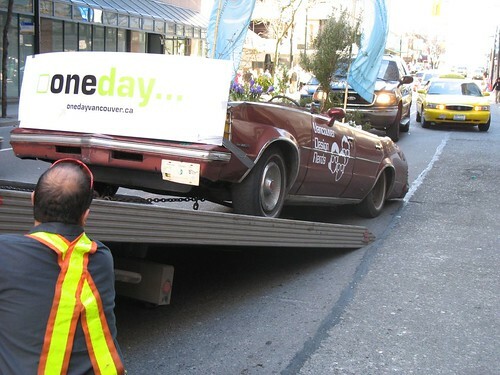 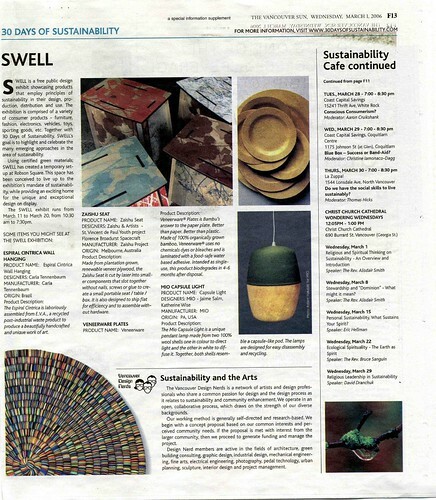 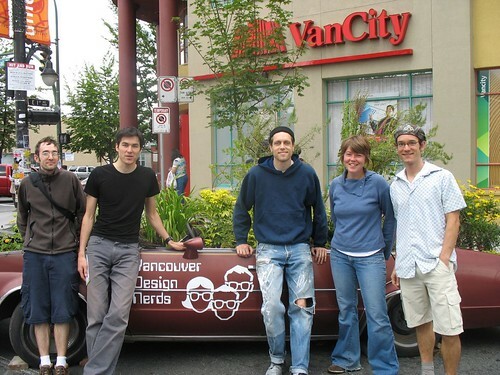 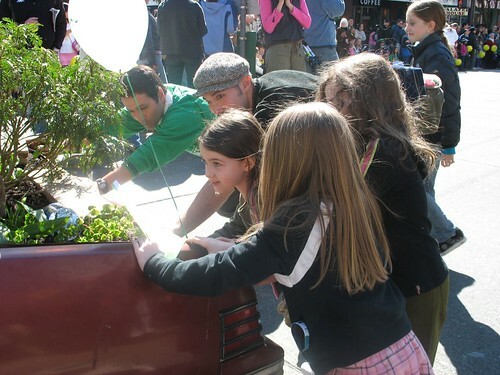 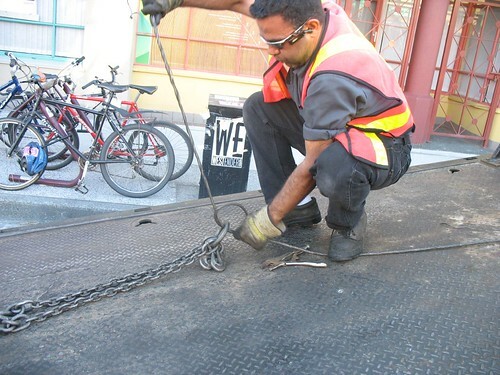 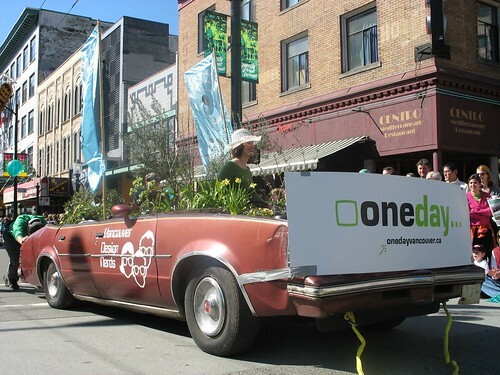 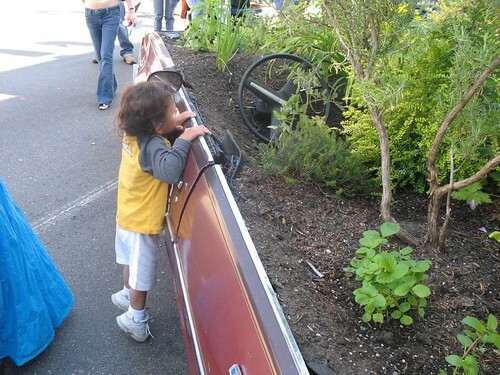 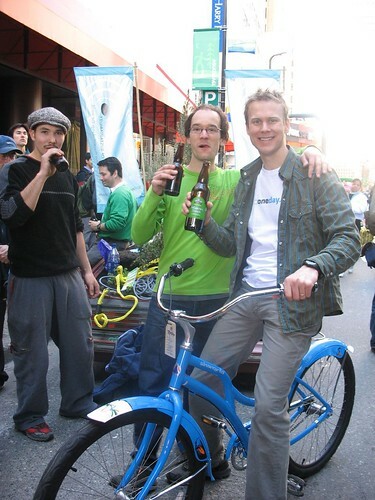 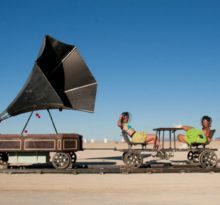 Utilizing a found object, it transforms an old car into a productive and healthy contribution to the urban environment. 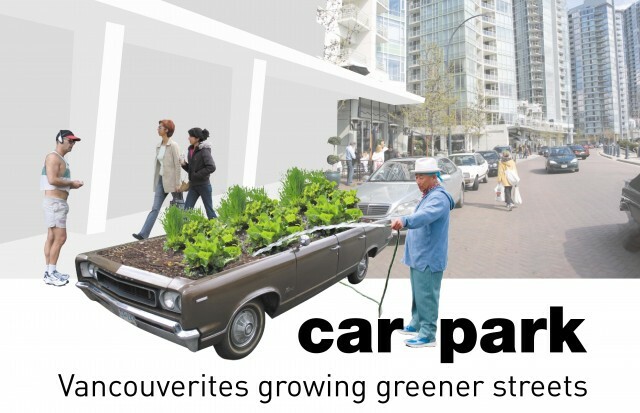 The use of cars as garden spaces brings together two powerful symbols: car space and garden space. 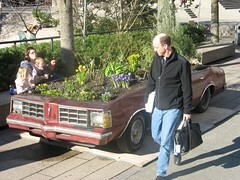 Cars symbolize our obsessions with power, control, possession, ego and privacy in the public realm. 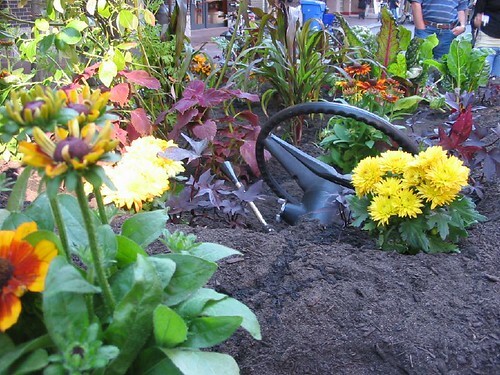 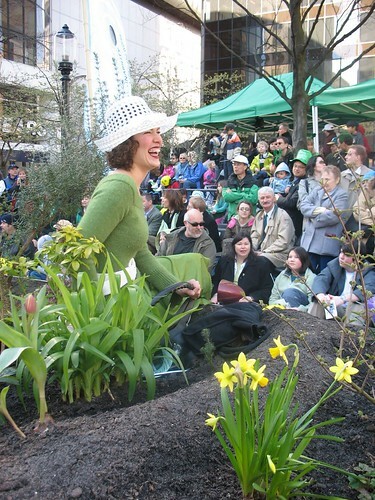 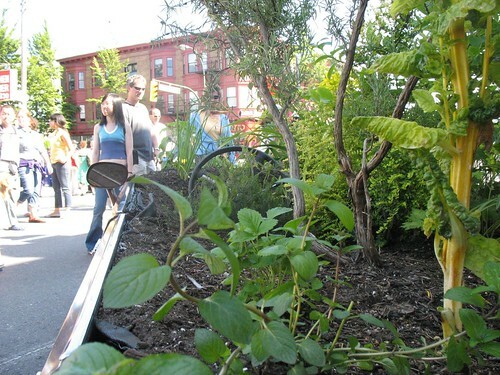 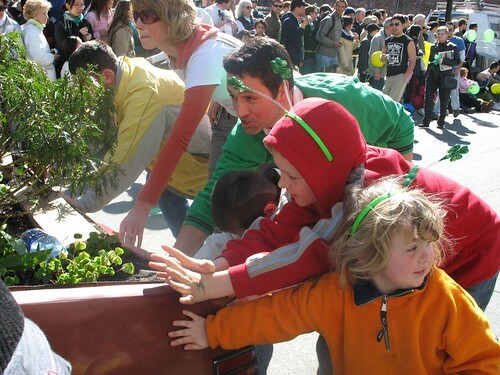 Urban gardens represent nurturance, collaboration, natural chaos, and public engagement. 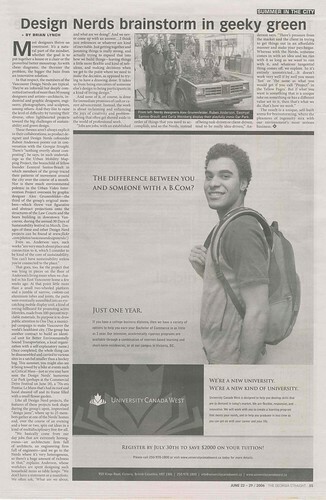 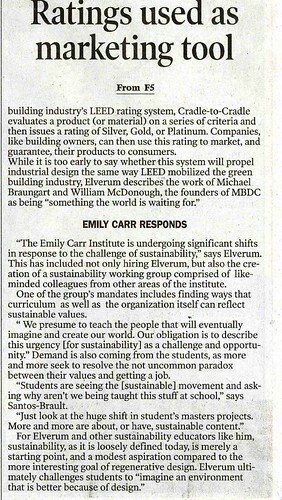 One is fundamentally unsustainable, the other sustainable. 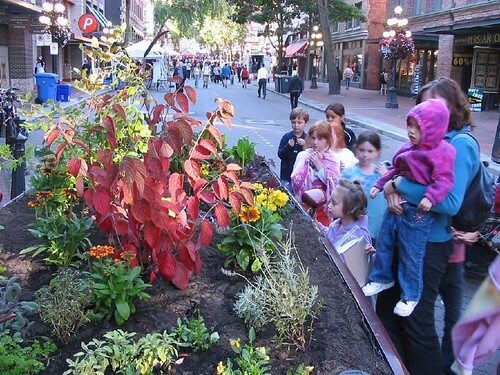 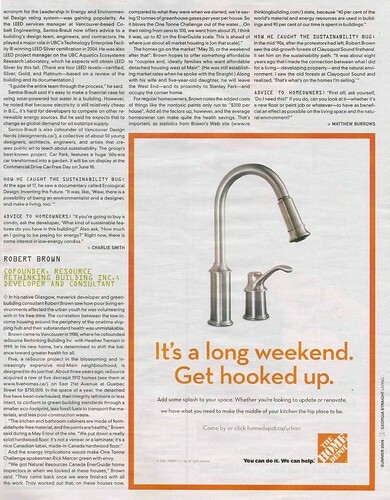 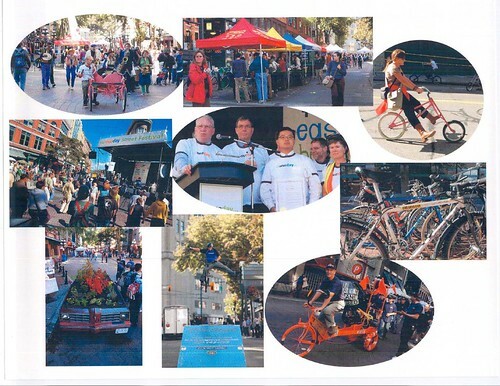 It also raises important questions: What should we do with our urban spaces? 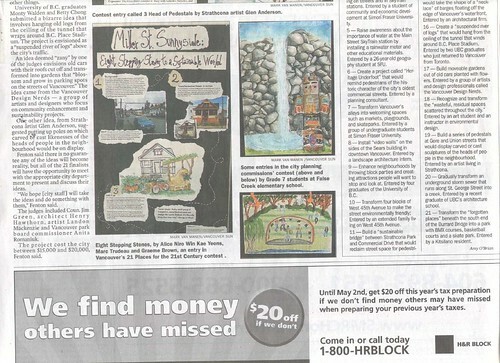 What are our land use priorities, and how do they reflect our values? 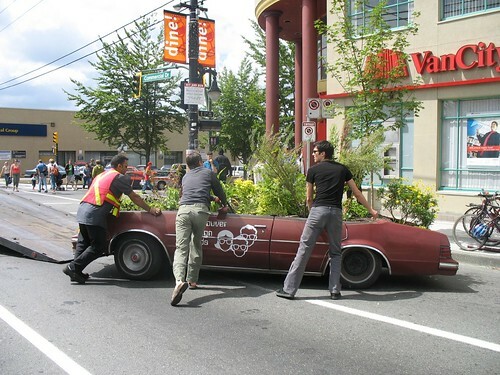 Should we transform more urban space into car infrastructure, or should we infuse it with food production? 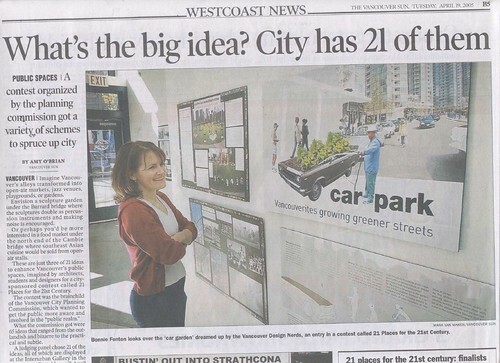 Yet the primary response to the Car Park is laughter. 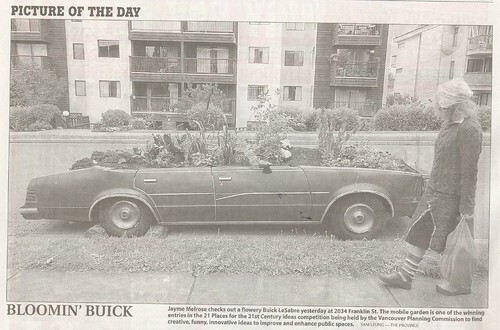 Humour is a remarkable tool for carrying people to new levels of consciousness in the blink of an eye. 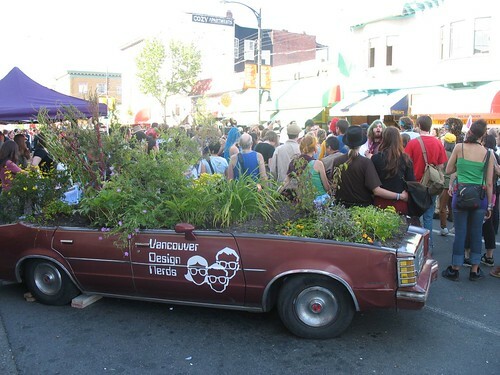 Posited between the realms of transportation and food is the issue of local versus long distance food. 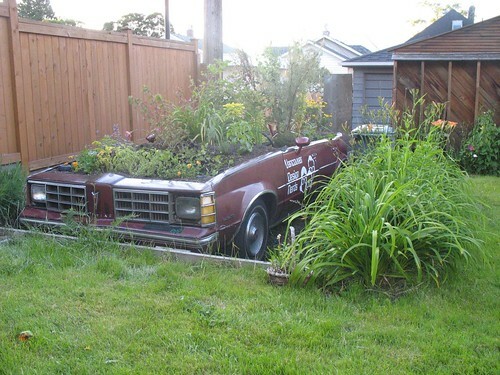 The garden cars provide a whimsical manifestation of this issue. 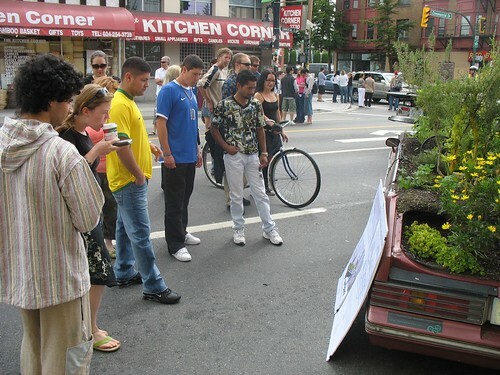 How did your food get to you today? 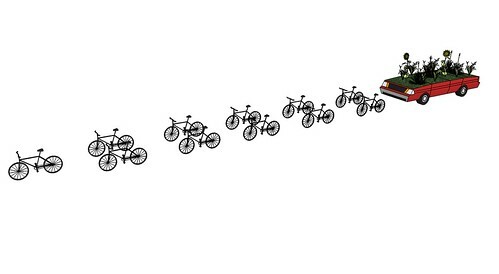 How far did that tomato travel? 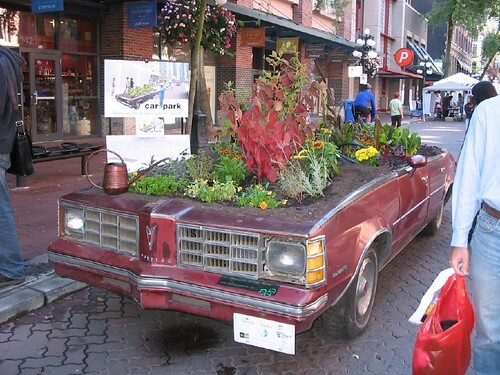 Is the garden parked in the street? 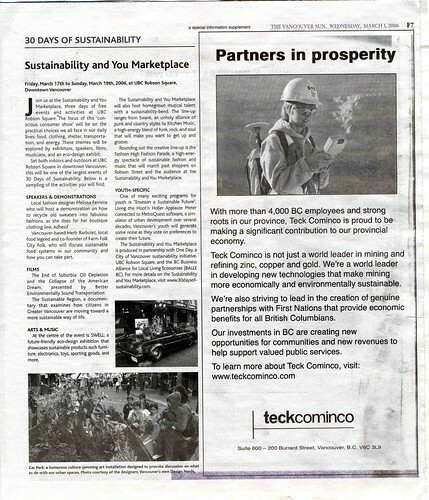 How shall we meet our obligations under the Kyoto Protocol? 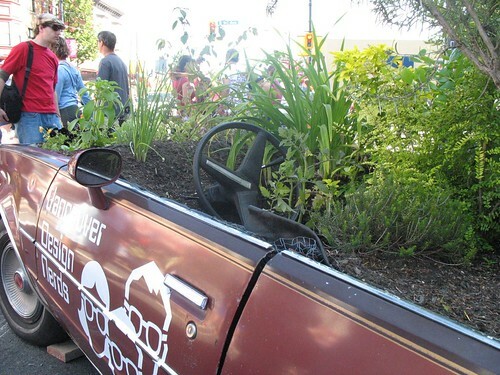 Will we drive there, or garden here? 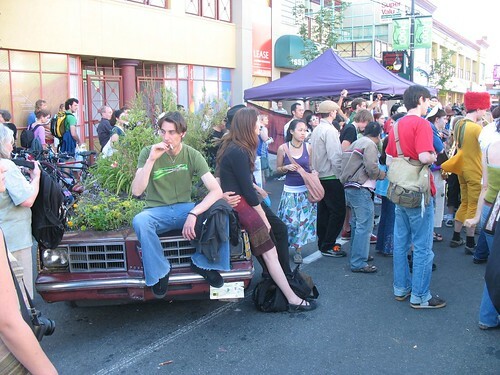 The parking meter is running. 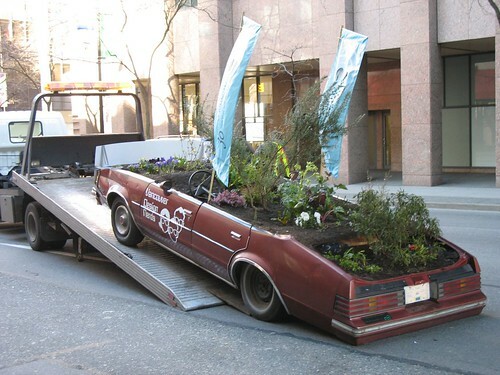 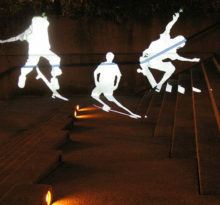 As the utilitarian concrete voids of parking spaces are transformed with whimsy and life, people will be reminded of the potential for beauty and humour in the urban landscape. 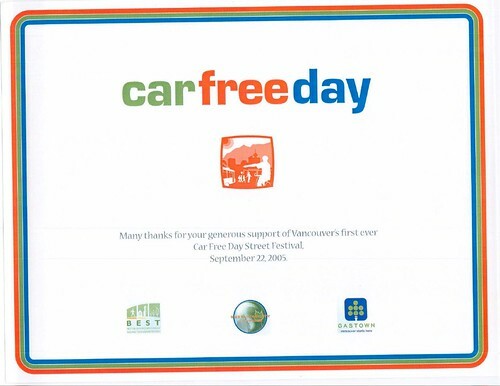 Car Park first appeared at the inaugural 2005 Car Free Day festival in Gastown, Vancouver BC, Canada. 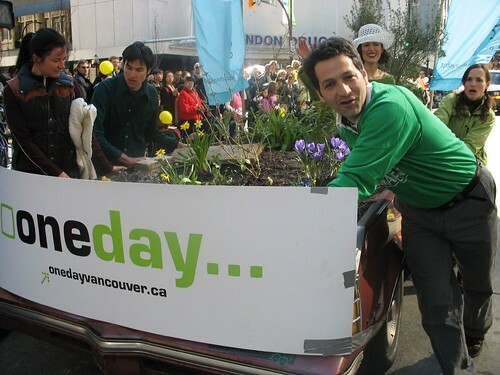 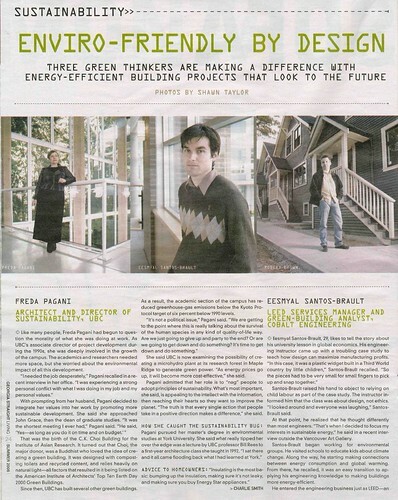 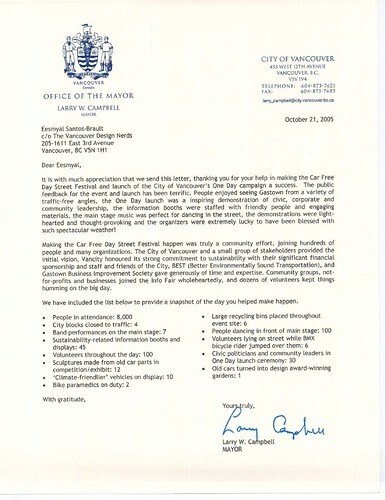 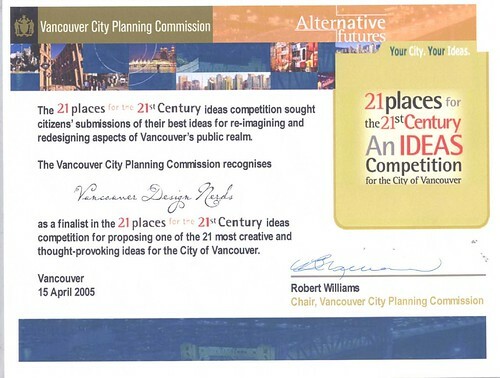 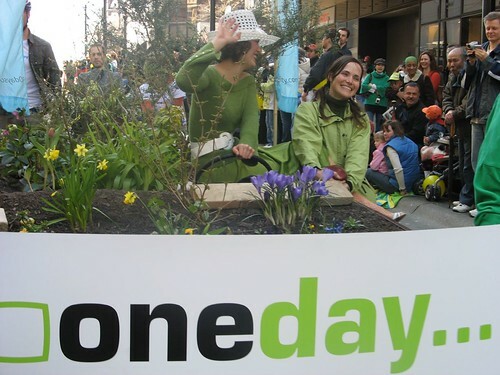 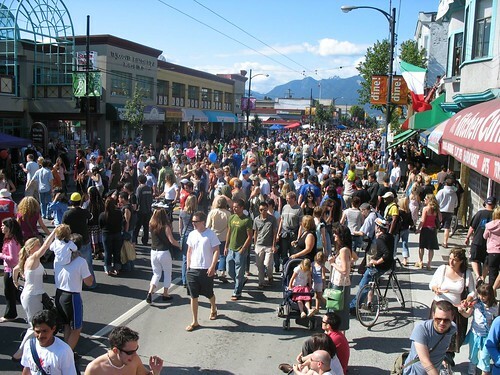 It was then brought to the 2006 30 Days of Sustainability Festival, followed by the 2006 Saint Patrick’s Day Parade, and then the 2006 Commercial Drive Car Free Day. 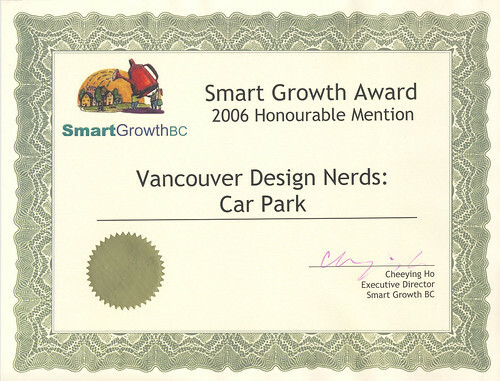 As of May 2007 Car Park finally found a home on the corner of the busy intersection at Clark Drive and Broadway in East Vancouver, as part of the La Cosecha Community Garden.